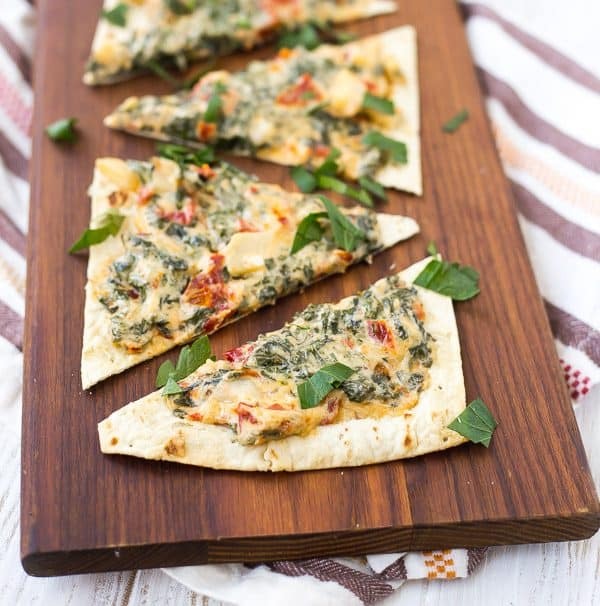 Kale Flatbread with Parmesan and Sundried Tomatoes is a quick and easy lunch or a fun appetizer for any gathering. It’s packed with flavor and nutrition! e vinaigrette, arugula” – amazing. ), kale toast from The Park Cafe, and all the beet salads. You guys, one beet salad was served with butternut squash goat cheese – I’m not even a huge goat cheese fan and it was amaaaazing. Another had whipped feta, hazelnuts and fennel – YES. I even turned Mary into a beet salad fan. People looked at me like I was a crazy person when I opted for savory over sweet nearly every time. You’ll find me asking the bartender if the cocktail is sweet before I order it, and questioning if the wine is dry before I commit to a glass. I don’t know when I became this person who is semi-adverse to sweets, but here I am. ^^^That’s not true. There are others like me, but I don’t think any of them were at this particular conference. We still had a blast though…more beets for me this way. I never did get a chance to try that kale toast, so I decided to make a version of my own. Instead of a slice of toast, I used crispy Flatout Artisan Thin Pizza Crust. It bakes in minutes and it gets crispy enough to hold the kale and sundried topping on this flatbread. Don’t have kale? Spinach would also work great, or another green like chard or even collards! Don’t have water chestnuts? I love the crunch they add to this kale flatbread, but you could achieve a similar crunch with finely diced celery. If you’d like, you could make extra topping and store it covered in the fridge. Then when you’re ready to eat, you’d just need to prebake the crust, spread this on, and finish baking. The Parmesan adds a lot of a salt, so I’d recommend not salting anything until after you add the cheese. Taste and season at that point. I use a nonstick pan and a small amount of oil for cooking the onions and kale was enough. If your onions start to burn or seem to dry, add a tiny bit more oil and/or turn down the heat. If your creamy kale mixture seems too thick, add a bit more milk to thin it enough to spread on the flatbread. Want more flatbread? Got ya covered! In a large skillet, heat oil over medium heat. Add onion and sundried tomatoes and cook, stirring, until onion is translucent, about 3 minutes. Add garlic and cook until fragrant, about a minute. Add kale and cover, cooking for 3-5 minutes or until kale is wilted, stirring occasionally. 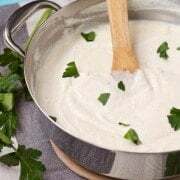 Reduce heat to medium low and add water chestnuts, parsley, cream cheese, milk, Parmesan cheese, and nutmeg. Stir and continue to cook until cheese is melted and all ingredients are combined. 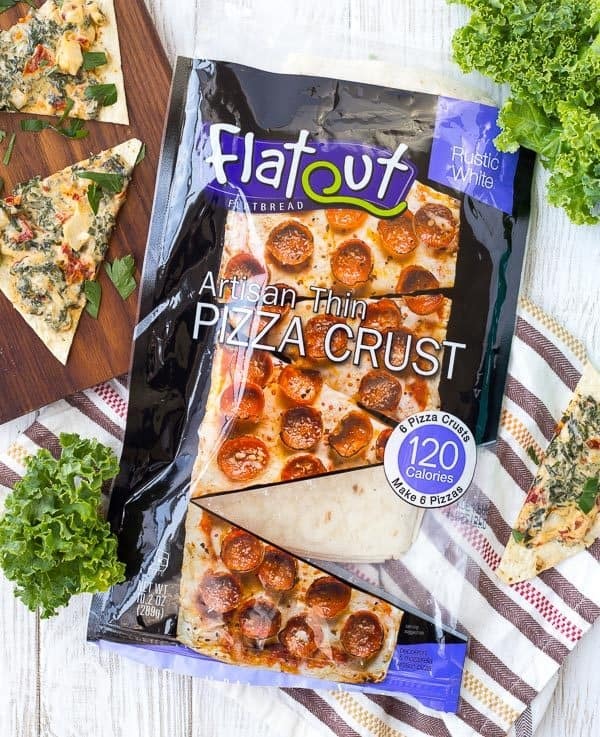 When oven is preheated, place the two Flatout Artisan Thin Pizza Crusts on a baking sheet and prebake for 2 minutes. Remove from oven and carefully spread on kale mixture. Return to oven and bake for 4-5 minutes or until crust is golden brown and topping is heated through. 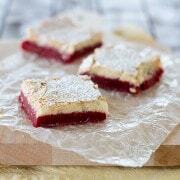 Note: I line my baking sheet with foil or parchment paper for easy clean-up! Verdict: I loved this! I’m so glad I finally got my kale fix. Someday I’ll make it back to Charleston to try that kale toast, but for now I’ll surround myself with my own kale recipes. Husband’s take: He had the leftovers for lunch. He loved it! I honestly wasn’t sure he would (creamy things aren’t usually his favorite), but he really did like it! 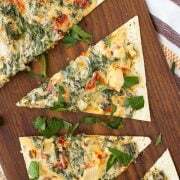 Disclosure: I’m excited to partner with Flatout Flatbread to bring you quick and delicious recipes like this kale flatbread. I have been compensated for my time but all opinions are always my own. 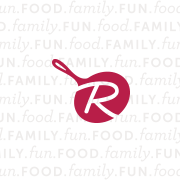 Thank you for supporting Rachel Cooks by reading about brands we love and use in our own home. There was another one there! I didn’t even have any of the ice cream, OR the donuts! I’m not a big sweets fan either. Those biscuits though. Oh.my.gosh. I need to find a good dupe for those. It was awesome meeting you! Can’t wait to cross paths again! Okay the biscuits were good, but I couldn’t eat many of them at one time. So nice meeting you too! I agree, can’t wait to see you again! I’m totally on board with you when it comes to not liking sweet cocktails or wine and lovinggg all things savory. However, when it comes to my food cravings, I’m 50% savory and 50% sweet totally depending on my mood! 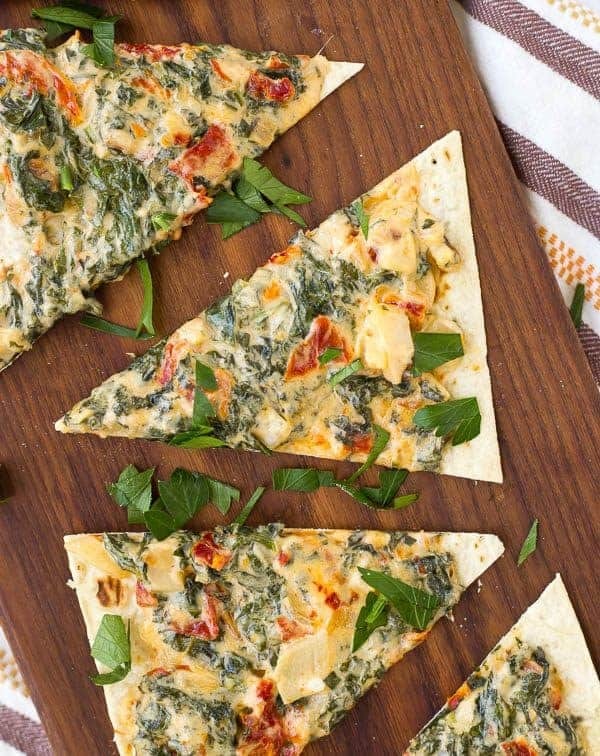 In any event, I’d always be in the mood for this flatbread!